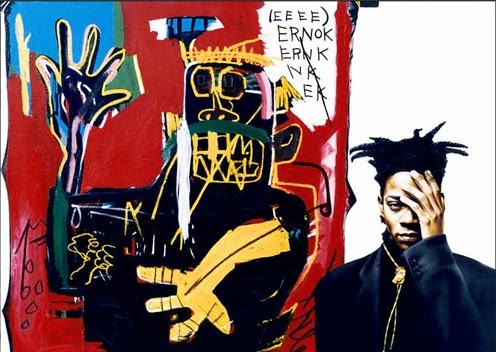 Jean-Michel Basquiat (December 22, 1960 – August 12, 1988) was a versatile and innovative artist and musician. Born of Haitian-American/Puerto Rican parents in Brooklyn, he first gained a following from his street art in the late 1970s. Both his graffiti and later canvas paintings incorporate primitive and expressionist influences and appropriate text. They explore dichotomies in the issues of race, culture, and wealth. They are powerful, raw, unsettling, and like all great art, inevitably evoke a passionate response. 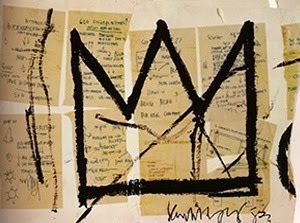 Basquiat was largely self-taught. At the age of eight, he was hit by a car and received significant injuries. While recovering from this accident, his mother gave him the medical text Gray's Anatomy, and the book's influence can be seen throughout his work. By the time he was 11 he could fluently read, write, and speak Spanish and French as well as English. His parents separated and he and his two younger sisters lived with his father, mostly in Brooklyn but also in Puerto Rico. His mother was placed in a mental hospital when he was 11, and spent the remainder of her life with a debilitating mental illness. 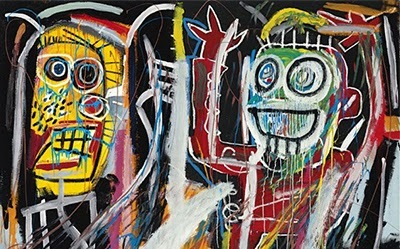 Although Basquiat exhibited artistic talent at a young age, he dropped out of high school in tenth grade, and eventually his father refused to have him live at home. He began painting graffiti in the lower east side of Manhatten where he stayed with friends, signing the work "SAMO" . In addition to being a visual artist, Basquiat was also a musician, and played in the band Test Pattern, later named Gray, (a reference to the medical text?) at NYC clubs like CBGB, Max's Last Hurrah, and the Mudd Club. He released a 12" rap single in 1983 featuring hip-hop artists Rammellzee and K-Rob. He did the cover art and only 500 were made, making it extremely desirable for collectors, sometimes referred to as the "holy grail" of rap records. His tremendous talent was recognized by several influential art people in New York, and at the age when many of his peers were finishing their undergraduate degrees, Basquiat was being shown in galleries internationally. His ascent in the art world was quick and must have been disorienting. He was an "outsider" by circumstance and history, with no formal education, providing intense immediate visual response to inequities he saw politically, economically, and racially. Within a few short years he went from sleeping in Washington Square Park to hanging out with Warhol, Madonna, Blondie, and Bowie. He was represented by several famous galleries, including Annina Nosei and Mary Boone. In 1985 he was on the cover of New York Times Magazine. He was at the forefront of an astronomical art boom in NYC in the 1980s that included Keith Haring, Julian Schnabel, Jonathan Borofsky, Nan Goldin, and Robert Mapplethorpe. Andy Warhol was his friend and mentor, and they worked in conjunction from 1983 to 1985, although it is not considered Basquiat's best work. 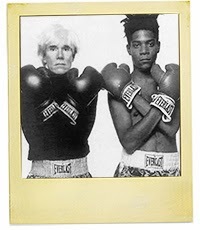 Warhol died in 1987, and this contributed to Basquiat's increasing isolation and dependence on heroin. Despite attempts to remain sober, he died of a drug overdose. He was 27 years old. His tragic loss was a shock to the art world. He had just really begun to produce works as a fully realized artist, and what he could have brought into the world visually will never be known. The Whitney Museum of American Art held a retrospective of his work in 1992. In 1996, fellow painter Julian Schnabel produced a bio-pic entitled Basquiat starring Jeffrey Wright , with David Bowie as Andy Warhol. 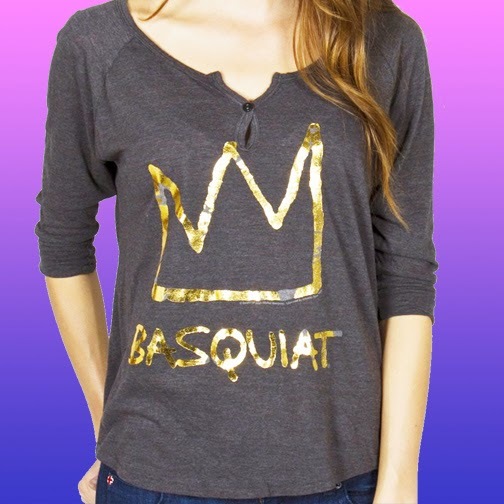 Basquiat's influence can still be felt. He was born with few advantages, and had little formal education. He rose to the top to because of his undeniable talent. People connected with him, and identified with the rawness of the work, even as it addressed issues of isolation and outsider status. The art critic Fred Hoffman said that Basquiat had "an innate capacity to function as something like an oracle, distilling his perceptions of the outside world down to their essence."